We are proud to bring you organic tea as part of our commitment to sustainable farming and healthy living. We champion the importance of working directly with artisan tea growers, small estates, and family owned gardens that adhere to organic principles and practices in producing genuinely distinctive and expressive Teas. 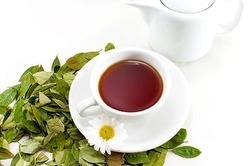 Our company has been dedicatedly manufacturing, supplying, exporting and wholesaling Organic Tea. These impart premium quality and also participate in and empower a holistic mission that supports the environment, promotes sustainable organic agriculture and protects the bio-diversity of the Earth. It also offers superb nutritional value to the consumers.